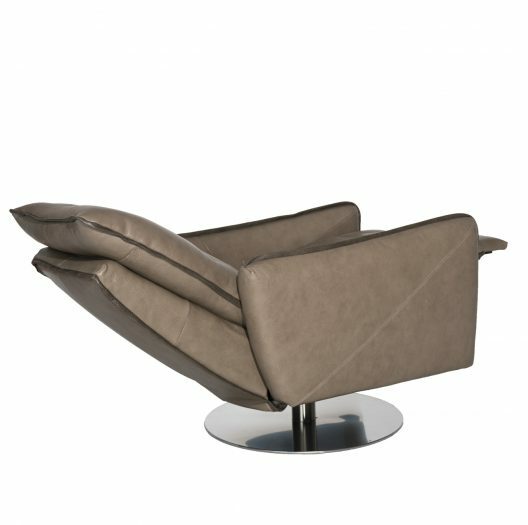 Recliners as a general rule are certainly not the most attractive seating solution pieces in a sea of stunning designer furniture pieces, and yet it is something that fills the void of certain type of comfort that only this particular chair can meet. We searched high and low for reclining chairs that also combine an element of sophistication and refinement, and were able to highlight two stunning options by Nicoline that, if one did not know, would never assume were recliners. 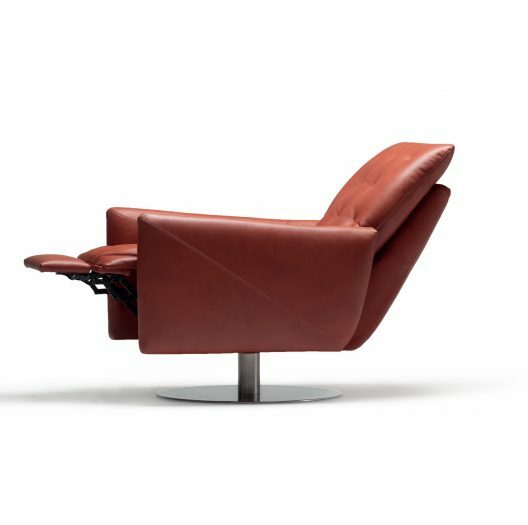 Both Lessina and Poros are a testament to modern style, minimal design and meticulous attention to details that help create a sense of fit with any space that can benefit from reclining functionality without the sacrifice of style. 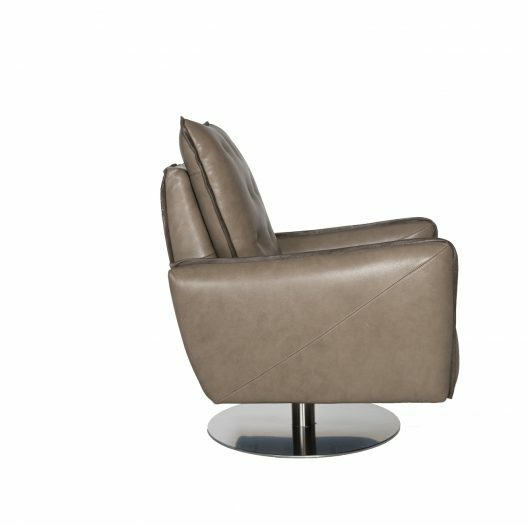 Both recliners are also swiveling armchairs, when not in reclining mode and thus can serve is an attractive accent chair in any room. Chesterfield, as we now know it, is an exquisite leather sofa that incorporates prominent tufting pattern into its back, seat or both. 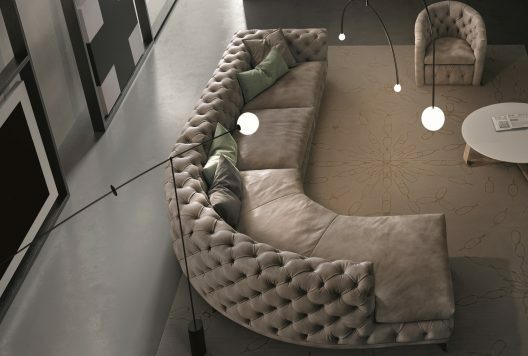 Its recognized design has turned the Chesterfield sofa into a descriptive and highly transcending style of seating thought to be namesaked after the 4th Earl of Chesterfield, Lord Philip Stanhope who was looking for a furniture solution that allowed comfort without the sacrifice of mannered personal appearance. The original Chesterfield offered an upright, firm seat, adorned with buttons and nail head trim for added trendsetting qualities and aesthetic refinement. Today, chesterfield sofas have changed the status quo of formal seating, and are used in all settings and in all styles, not just in traditionally designed spaces. Their old-fashioned stigmas and conventional class barriers have disintegrated, with modern sofa versions designed to embrace the decorative depths of original chesterfields with simplified details and a timeless British imprint on interior design. 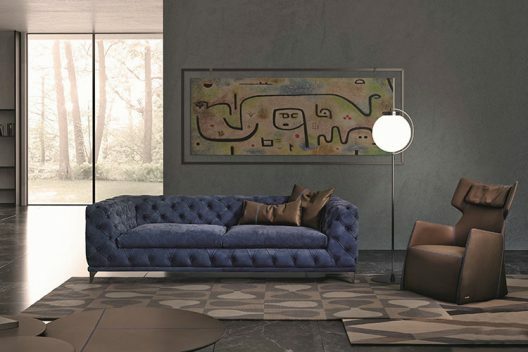 Some of our favorite Chesterfield inspired masterpieces include the Aston collection by Gamma Arredamenti that includes a sofa, sectional, chaise, armchair and a bed. 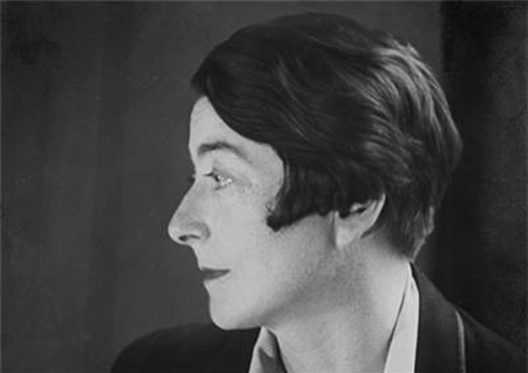 On March 8th, as we celebrate International Woman’s Day, it is fitting to recognize one of the most influential women in modern interior design, a true revolutionary and a legend, Eileen Gray was a brilliant furniture designer and an architect and was an incredibly strong woman. 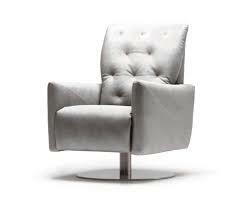 A pioneer of the Modernist movement along with the likes of Le Corbusier, Saarinen, Jacobsen and Breuer, Eileen Grey was first recognized for her commissioned project, an armchair for Madame Mathieu-Levy’s apartment in 1922. 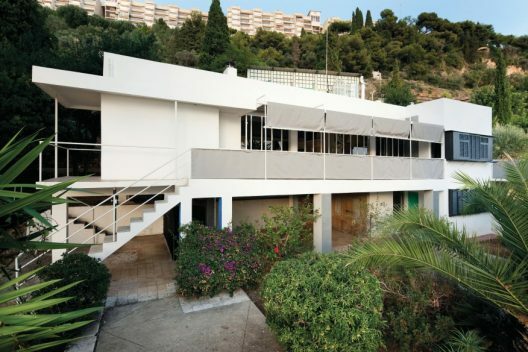 She later went on to create architectural sensation, the E-1027 holiday home overlooking the Mediterranean. She was keen on creating adjustable furniture that would alter with the needs of the people using it with the most infamous piece being the E-1027 glass coffee table that was height adjustable to be used for eating and as a side table. To describe Aynhoe Park in one word would be simply impossible, other than to say that it’s a paradoxical experience. 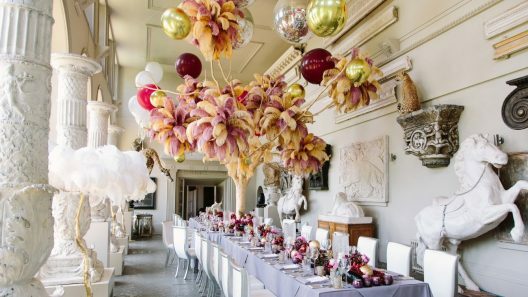 Located an hour outside of London, in the Oxfordshire countryside, Aynhoe Park was originally built in 1615, in Jacobean style architecture with Palladian splendor. 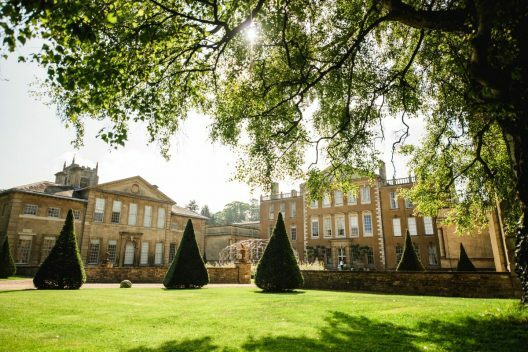 While its interiors continuously undergone major and minor renovations that added Baroque details to the estate, its gardens were designed by renowned English landscape architect, Capability Brown. 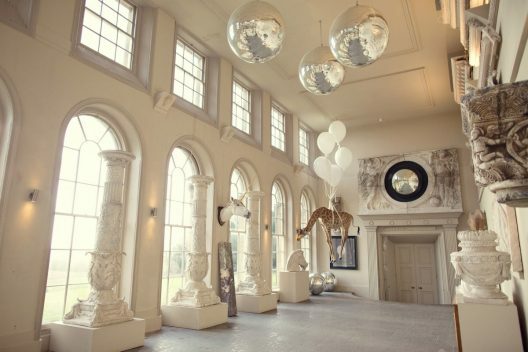 In 2006, Aynhoe Park was purchased by James Perkins who was determined to reinstate this historical country house to its original opulence while adding contemporary design elements and a whimsical touch to its bespoke interior experience. Featuring patterns, fringe details and bold colors, the 70s were considered one of the boldest decades when it comes to design. Defined by iconic fashion influencers like Donny and Marie Osmond, Cher and the original Charlie’s Angels, the 1970’s were all about standing out. Inspired by this need for attention a collaboration between Masquespacio’s Ana Hernández and Houtique, produced a stunning collection of modern pendants aptly titled Wink and defined by gold frames and dangling pink fringes that contour their curvilinear shape that were recently debuted at the Maison & Objet show in Paris. 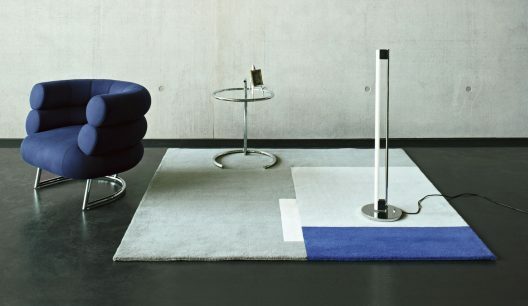 Similarly, Bonaldo partnered with Sergio Biceglo in the design of the Colors modular sofa and with Giuseppe Vigano in the Doppler project that deeply mimic the prints and colors schemes that are innate to the bygone days of the seventies which also were the influencing component of the Kaos coffee table collection by Cattelan Italia.